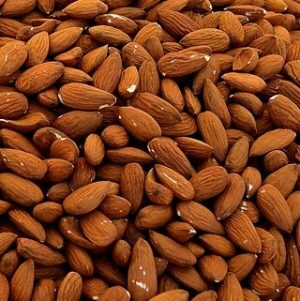 Grown without the use of synthetic pesticides and processed and stored without the use of artificial chemicals, these raw almonds have are a great snack or throw them into a salad, stir-fry or trail mix. Our insecticide free almonds are grown in the Sunraysia region of Victoria. Almonds are harvested from the inside of the inedible fruit of the almond tree. They are not self-pollinating so at least two different varieties of trees are necessary for a productive orchard. Bees play a vital role in the pollination of an almond crop in an orchard. Once the almond blossom dies off and the pollination has happened the almond ‘fruit’ will start to appear. This grows and the almond matures on the tree, the fruit eventually splitting exposing the inside of the fruit which is the ‘almond in shell’. Once the almonds are ripe enough, they are harvested and are often left to dry out in rows on the orchard floor, then cracked (hulled) and processed, then they are ready to leave the farm. 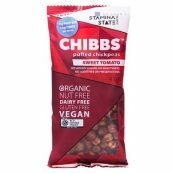 They are grown without the use of synthetic pesticides, stored without the use of artificial chemicals and are not heat treated.